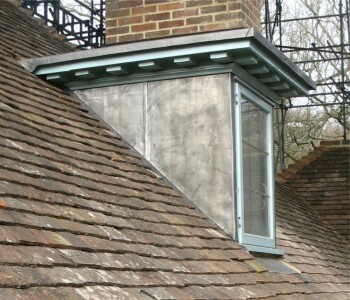 Dormer cheeks are vertically clad to achieve an weathertight solution as an alternative to weather-board cladding. 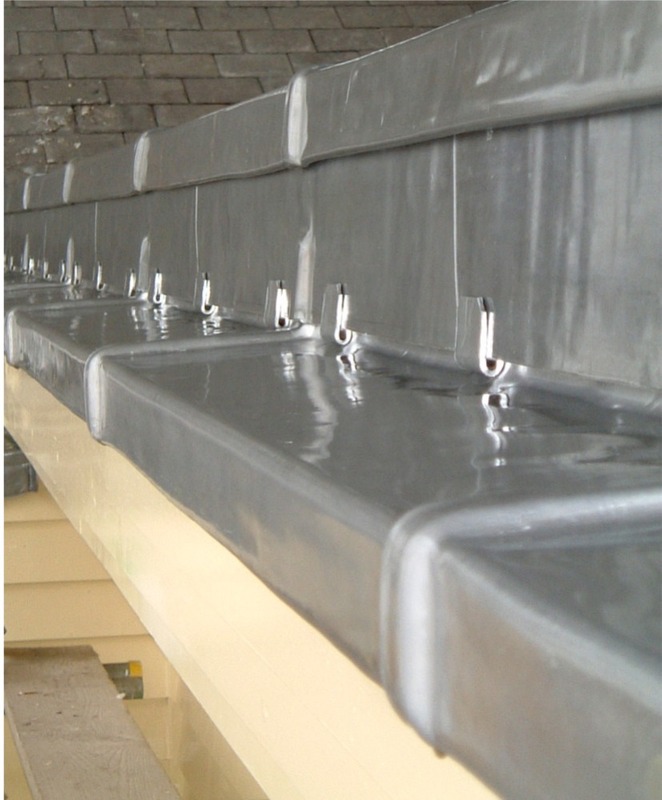 Lead soakers are turned up against the dormer cheek and dressed under each tile course. Welted cladding is then dressed down over these soaker up-stands to weather the joint between the abutment. In this case the lead sheet was returned into the dormer and turned against the back of the window frame to ensure a good weather seal. 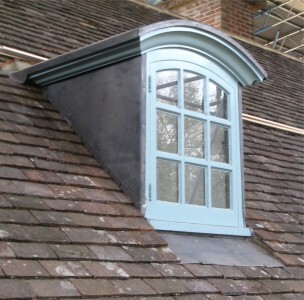 Curved roof dormer with lead clad cheeks. 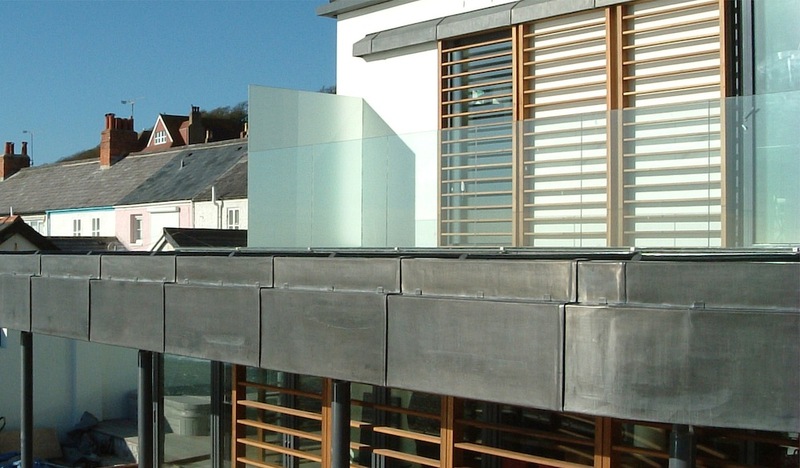 This project in Sandgate won the “Ibstock Downland Prize” in 2007. The lead roofing and cladding provided an excellent showcase for lead as a contemporary material in building design. Lead was chosen for this project due to it’s versatility and high resistance to corrosion. Metal roofing offers reduced maintenance costs and better value for money in the long term particularly in this exposed seaside location. Parapet wall cladding and plinth capping, Rochestor. This historic dockyard building restoration project was part funded by English Heritage. Interlocking welted panels were wrapped around a stainless steel continous clip to secure the drip edge against windlift in this exposed location. Lead-welded clips are used to secure the free edge of the vertical cladding, this image in particular shows our attention to correct detailing and clip expansion spacing.